This Item is a Pre-Order and will arrive on: Wednesday July 26th 2017 ! 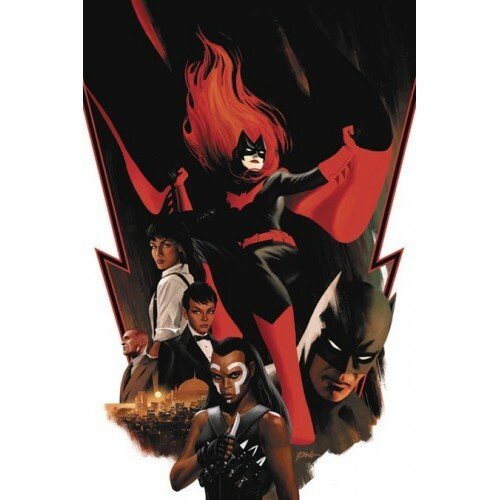 APR171714 - At last - Batwoman is back in her own ongoing series! On the island nation of Coryana, anything goes for members of the criminal underworld... and during her lost years after being drummed out of the military, Kate Kane found a kind of refuge there. But now, a deadly new bioweapon is available in the markets of Coryana, and Batwoman will have to face up to the things she did in those days... and the people she left behind, some of whom would be happier to see her dead than alive! Writer Marguerite Bennett (DC BOMBSHELLS) is joined by James Tynion IV (DETECTIVE COMICS) and superstar artist Steve Epting (Captain America, Velvet) to present an epic Batwoman story that will alter the course of her life forever! This one's unmissable! RARE EVENT PRICING FOR AN ULTRA-LIMITED EDITION in honor of the first appearance of Batwoman in Detective Comics #233 (July 1956). FINAL COVER MAY VARY. ALLOCATIONS MAY OCCUR.